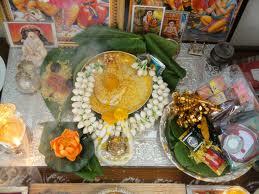 Swarna Gowri Vrata will Coming on 8 Saptember 2013. 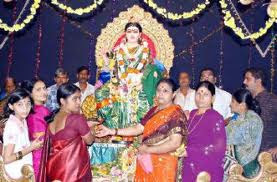 Swarna Gouri Vrata, also known as Gauri Vrata , is observed a day before Ganesh Chaturthi puja mainly by women in Karnataka. 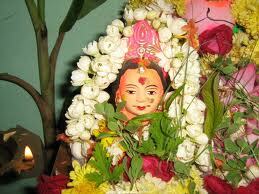 Swarna Gowri Vrata 2013 date is September 18. Swarna Gauri Vrata is dedicated to Goddess Gowri, popularly known as Goddess Parvati. 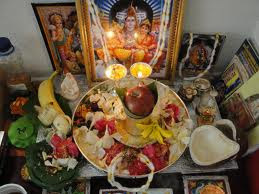 It is observed on the third day of the Shukla Paksha of Bhadrapad month mainly in Kannadiga Culture. 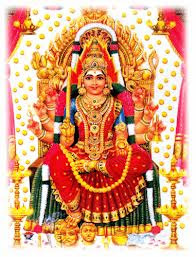 Hindu women observe Swarna Gouri Vrata for the well-being of their husbands and for a peaceful and prosperous life. Unmarried women observe if for getting a good husband. 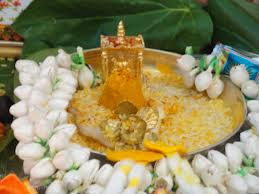 It is believed that Goddess Parvati comes to earth to answer the prayers of married and unmarried women during Swarna Gauri Vratam. 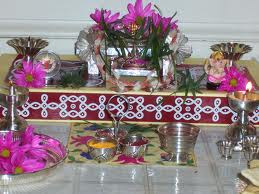 Gowri Vrat day is followed by the Ganesh Chaturthi day. Hindus believe that Lord Shiva sends Ganesha to fetch his mother from earth. 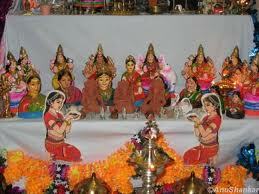 On the sae day women in North India observe the Hartalika Teej Vrat which is also dedicated to Goddess Parvati.